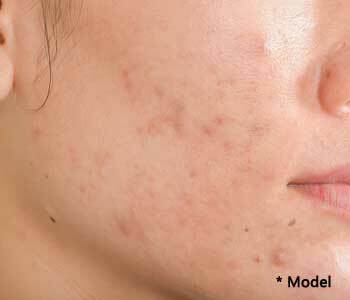 We have been quite successful at treating acne scars with the PicoSure laser. The PicoSure laser is a 755nm Alexandrite laser that penetrates to the deep layer of the dermis. This laser specifically targets acne scar pigment, including melanin and melanocytes. It also stimulates the production of new collagen to improve the texture unevenness of the skin from acne scars. The laser is gentle to the outer layer of skin and does not ablate or burn off the outer layer of skin. This is a quick procedure with minimal discomfort, and with minimal downtime. Your skin will be red for the remainder of the day, and will be nearly back to normal the next day. You will require 3-4 treatments about 3-4 weeks apart. This is an effective laser treatment for acne scars. This is a surgical procedure that is performed under local anesthesia. A fiber optic laser is used under the skin to release the deep scar tissue from cystic acne, then the skin is tightened, and new collagen is produced. The combination of these effects results in a smoother appearance. Chemical peels can used to improve the uneven skin texture and pigmentation associated with acne scarring. These are done in the office and are well tolerated. The downtime is a little bit longer with chemical peels. Often the skin will be red for a couple of days, and the entire outer layer of skin will peel, revealing a refreshed layer of skin underneath. You will also require about 3-4 treatments about 4-5 weeks apart for optimal results. Topical bleaching agents are useful if the acne scars also have hyperpigmentation. These agents will need to be used daily, before, between, and after the above treatments. Avoiding sun exposure is important in preparation for acne scar treatment. We also recommend daily use of a sun block to protect the skin with an SPF 30 or better. Learn more about the many methods of acne scar removal today by contacting Dr. Dennis Dass and his team of professionals today!